Your Tamarac Personal Injury Attorney, Robert E. Gluck, will fight hard for your legal rights. He will make certain you are given the treatment you deserve the entire time. An injury can occur in any location and at any time or under any circumstance. It could happen while on someone else's property, in a car accident, a bus accident, from using a malfunctioning product, or anything else. Before Robert E. Gluck can being a full investigation, he must first verify that the opposing party is guilty of negligence. 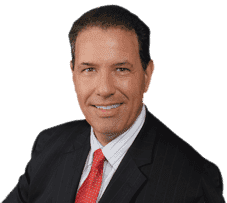 After your Tamarac Personal Injury Attorney, Robert E. Gluck is able to provide evidence for negligence, the guilty party will be held responsible for your medical bills. Negligence happens when a reasonable person fails to use proper care and it results in injuries. A prudent individual knows how to follow the appropriate standard of care. Robert E. Gluck understands how difficult of a time this is, so he will offer you the emotional support you need to get through this challenging time. You can count on him to be at your side, offering his emotional support and legal guidance, until the case is finished. Hiring the right Tamarac Personal Injury Attorney is very important. Research shows when an injured person is legally represented, there is a higher chance of receiving a settlement. Robert E. Gluck will fight aggressively to try to get you the financial compensation you are entitled to. He will serve as a powerful voice on your behalf. Robert E. Gluck will make you feel more confident and less stressed, saving you both time and money in the end. Your Tamarac Personal Injury Attorney, Robert E. Gluck will locate witnesses and obtain their witness statements. He will take photographs of the accident scene and secure video footage. He will look for property damage and gather any other useful information he finds to use as evidence. When you have an experienced attorney like Robert E. Gluck at your side, fighting for your legal rights, your chances of winning are already much better. Contact him right now, and make an appointment for a free consultation.